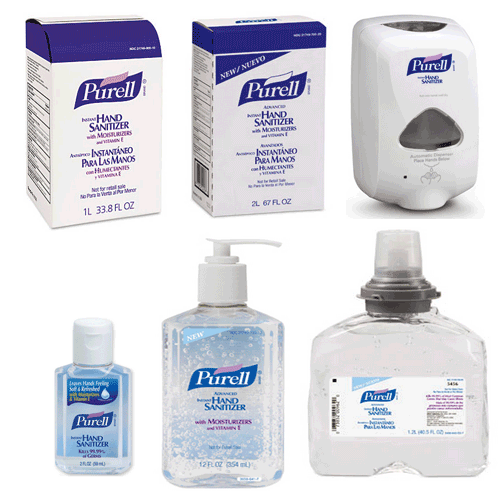 Purell Instant Hand Sanitizer BUY Purell Hand Sanitizers, Gojo Hand Sanitizer, 2156-08, 2256-04, 2423-DS, 2720-12, 3659-12, 5456-04, 9605-24, 9631-24, 9639-12, 9646-12, 9651-24, 9652-12, Hand Sanitizer. 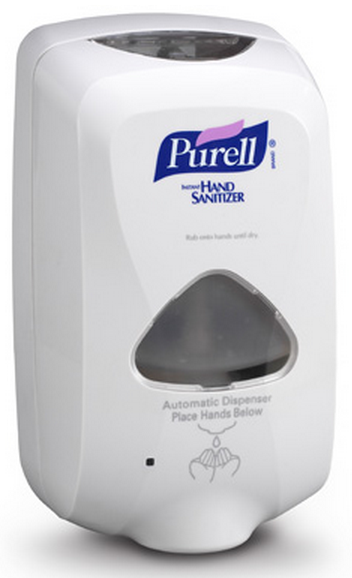 Purell Instant Hand Sanitizer, manufactured by Gojo, are designed to eliminate germs when soap and water are not available. 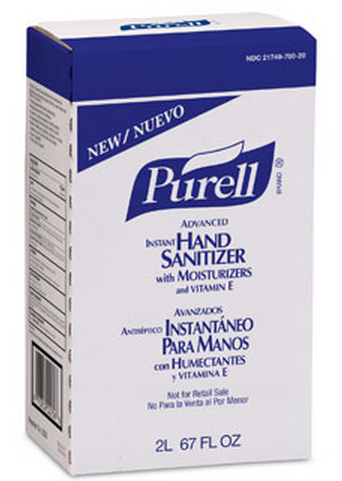 Unlike other Hand Sanitizers, Purell Instant Hand Sanitizer is non-toxic. 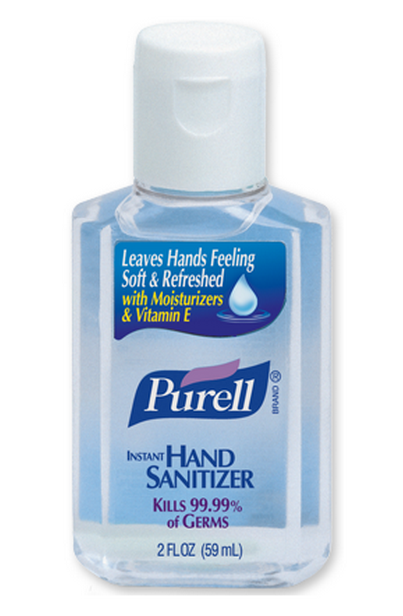 Purell Instant Hand Sanitizer was invented in 1988 and has been a favorite of the public ever since. Gojo Hand Sanitizers are dermatologist tested and contain no dies, so they are less likely to cause skin irritations. 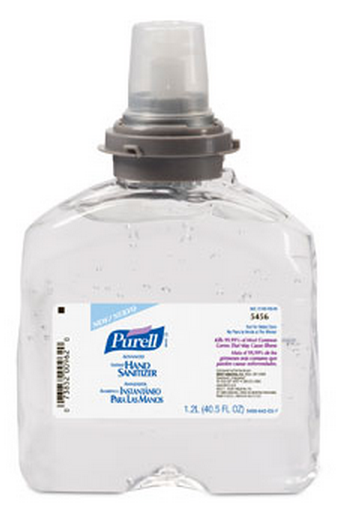 Purell Instant Hand Sanitizer reduces the risk of passing infections in hospitals and clinics, as well as, food contamination, and everyday germ control. 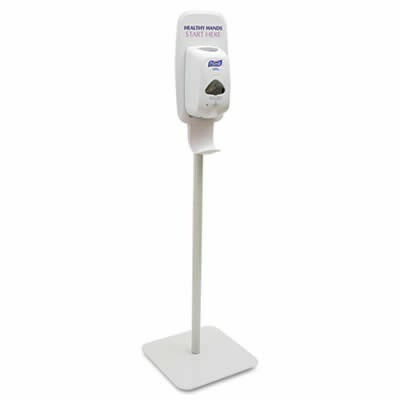 Purell Touch Free Dispensers are ideal for distributing Hand Sanitizers, because they reduce the spread of germs due to multiple users touching the dispenser. The Healthy Hands Starts Here floor stand is the perfect mount for the TFX Touch Free Dispensers, because these stands can be placed anywhere in a large room, rather than just along the wall. With more options for placement, Purell Dispensers can be placed where they are needed, when they are needed and adjusted as necessary. No water and no towels necessary. Formulated with moisturizers to keep hands soft and refreshed. Volume Options: 2 Ounce, 4.25 Ounce, 12 Ounce, 1200 mL, 2000 mL. Container Options: Flip Top Bottle, Pump Bottle, Squeeze Bottle, Refill and Touch Free Dispenser. I put one of those clean hands start here stands with the dispenser in my lobby. Cleaner patients is a good thing. 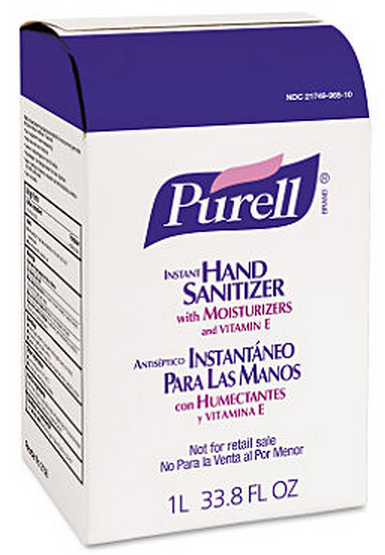 I feel much cleaner knowing that my family is using purell, because it is a tried and true brand.